The Beatles came to America February 7, 1964 and played the Ed Sullivan Show two nights later. 73 million people watched. 45% of all American households with a television tuned in. Just slightly lower than the rating for the 2014 Superbowl. For those who saw it, it is a marker on their life line. Where were you that day? Recent specials have given the impression that the Beatles arrived in America, were met by large crowds, sold out wherever they went, made records and movies and sold posters and toys in vast quantities. They were suddenly famous and successful. The result may be true, but as with so many success stories, it hides other important things. Few success stories start with. “First I became famous” and theirs is not different. I came upon this site recently. Retronaut The Photographic Time Machine. 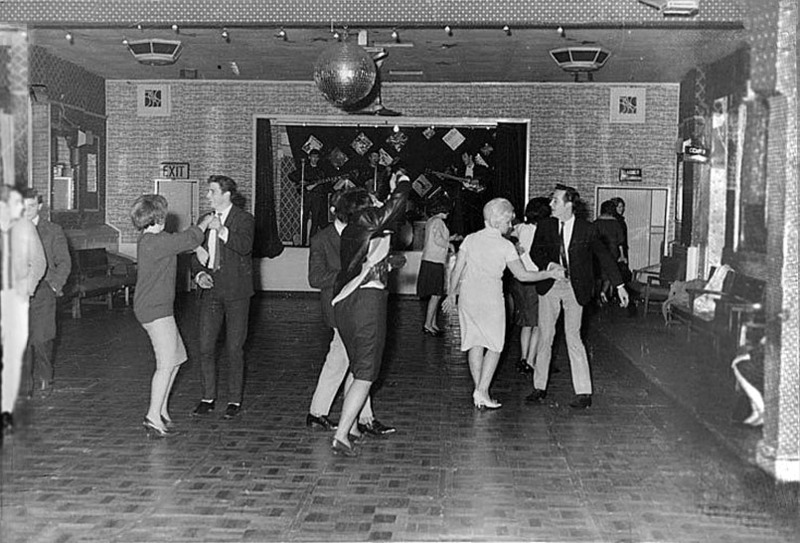 The link will take you to photographs taken on 9 December 1961 in Aldershot, UK. Barely more than two years prior to the Sullivan show. It looks like a pretty interesting event. Price is not bad. Bar and Buffet. “Liverpool’s No. 1 Rock Outfit”. Quick quiz. How many people attended? Admittedly the event was not well advertised and their manager was replaced shortly afterwards. But 18! To see the Beatles live and up close! Great success often disguises the work involved to acquire the skill and presence that seems to have arisen by fate or an act of God. Talent helps. Pleasing looks, winning personality, warmth and ease with people matter and add value. But they are not enough. The work is what drives the other factors. Unfulfilled potential is common. In Germany in the early days, the Beatles often played four shows a day. It was difficult and financially unrewarding, but they learned their craft. 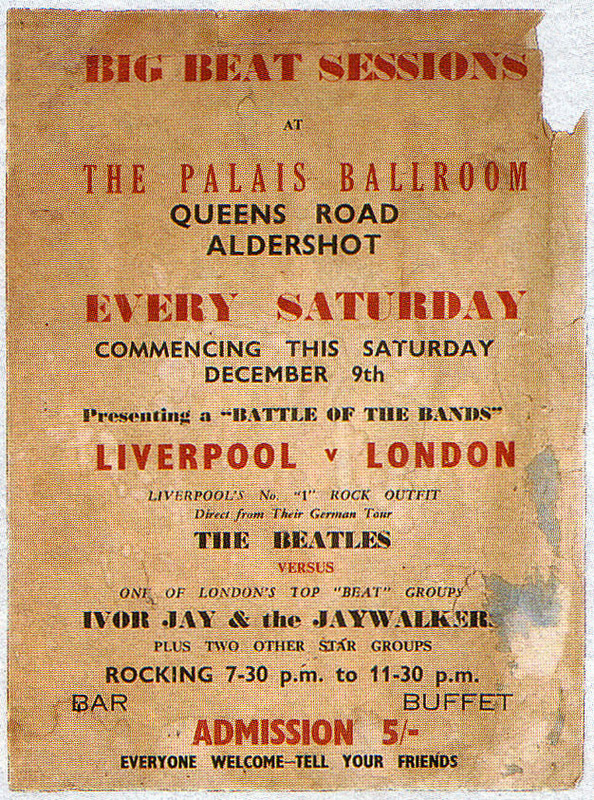 In England they did gigs like Aldershot. No limousines, no roadies, no fans even. But they carried on. By late 1963 they were recognizable in Europe and a few in the United States knew of them. Then the explosion. Every business and every career follows this path. Doctors take nearly a decade to train. Financial advisers are of little value early on, but if they pay attention, they become useful. My friend Paul Racine claims that an insurance adviser needs to do 50 applications a year just for practice so that when he does the ones that matter, he is and looks competent. Malcolm Gladwell claims that it takes 10,000 hours of focused practice to become professionally skilled at anything. I think he might be right, but true professionalism may take even more. Percy Buck made another point on the same subject. “An amateur can be satisfied with knowing a fact; a professional must know the reason why.” The reason is that depth of knowledge demonstrates how a thing came to be. Depth discovers patterns and tendencies. It fuels creativity. There is a similar idea in mathematics. An elegant proof is one that proves the theorem efficiently and also gives clues as to why the proof is true. When looking to become a financial adviser, seek depth of knowledge. With depth of knowledge comes the ability to notice nuance and exceptional circumstances. Curiosity is the engine. An adviser should pay attention to little things and learn how they combine into big things. Don Shaughnessy is a retired partner in an international public accounting firm and is presently with The Protectors Group, a large personal insurance, employee benefits and investment agency in Peterborough Ontario.